Inspired by the charming Rose Bay and its exclusive surrounds, no expense has been spared in designing this landmark development. Bespoke interior detailing to each spacious residence and an elegant palette of materials offer an unsurpassed level of luxury home living. Perfectly positioned in Sydney’s prestigious eastern suburbs, the elegant Rose Bay enclave is an exclusive sanctuary. It is a place to have it all and get away from it all. Just 7km from Sydney CBD, Rose Bay offers an enviable and active lifestyle with some of Sydney’s most prestigious schools calling this home. Harbourside walkways reveal leafy parklands and quiet beaches with families and sports teams enjoying the sparkling backdrop of Sydney Harbour. Public transport is readily available including Sydney ferries which can take residents to Circular Quay or to Watson’s Bay for sunset drinks on the world’s most celebrated waterways. Oversize apartments provides rare offering of 3 security side by side car spaces and large wrap around balconies for great entertaining. Offering resort-like living, the Stella immediately amazes with a luxurious lobby leading directly into the immaculate landscaped garden. Windesea Group brings an effortless sense of luxury to this development with bespoke Italian finishes throughout. Organic finishes, European oak timber flooring and thoughtful attention to detail typify this elegant Rose Bay development and create an immediate sense of home. The luxurious Italian kitchen joinery offers soft close cupboards/drawers and gorgeous yet functional interiors. Each apartment is fitted with award winning German Occhio Mito pendant lights that turns on at the wave of your hand. Top of the range Miele integrated appliances - fridge/freezer, dishwasher, oven and steam oven with microwave capabilities. The powerful and yet quiet Sirus built-in rangehood is manufactured in Italy. Sirus is a global leader in producing high-end rangehoods with solid stainless steel filter that looks great and last for many years to come. For larger selected apartments, we offer Sub Zero wine fridge with wine servery and/or Butlers pantry. Windesea was founded in 1999 and has delivered a range of prestige development including award winning luxury waterfront homes, beach side boutique apartments and high density mixed-use buildings. The driving force behind The Stella is to deliver a high quality timeless design that you can call home for years to come. 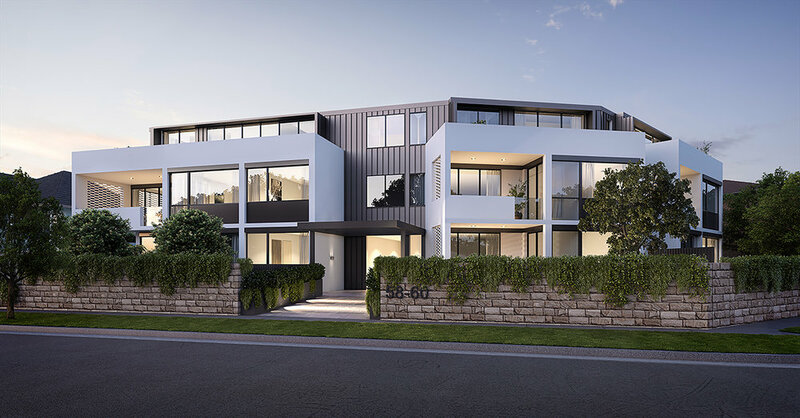 Windesea Group has carefully assembled an award-winning team of architects, designers and engineers to bring the project to life and ensure The Stella contributes to the Rose Bay streetscape and community. Windesea Build truly understands what it takes to develop and build high-end quality homes. Efficiency, attention to detail, strong ethics and state of the art construction techniques enable them to create every single building to the highest standards. Marchese Partners is an award winning international architectural firm that delivers leading edge architecture and has become one of Australia’s most successful design practices. Marchese Partners offers a unique mix of innovative design solutions and has been recognised globally as the leaders in Seniors Living Design for over 10 years. A long list of rewards include the 2015 The Globals - Most Outstanding over 50’s Housing Design in the World and more recently the 2016 and 2017 UDIA NSW and National Awards for Excellence. The Stella has incorporated a contemporary blend of natural and manmade elements that reflects Marchese Partner’s reputation for design that balances form and function, beauty and practicality, sustainability and advanced technology. Pure Interiors has over 20 years’ experience in luxury European interior design and are passionate about creating a high quality and innovative space that is beautiful and reflects the needs and lifestyle of the residents. An exclusive range of contemporary Italian finishes have been hand selected by Pure Interiors to allow The Stella to evoke a laidback elegance. Pure Interiors aesthetic craftsmanship balances practicality and understated luxury. Wyer & Co. brings a distinctive style to gardens, merging innovation with timeless and elegant landscape design solutions. This is evident as seen through projects from sophisticated inner-city gardens to rural country estates, Wyer & Co. masters their exciting and innovative designs across Australasia. Disclaimer by the developer and their agents: These images are for marketing purposes only and may not be an absolute reflection of the final product and may be subject to variation in accordance with the contract of sale. Furnishings featured in marketing images are not included in the sale.